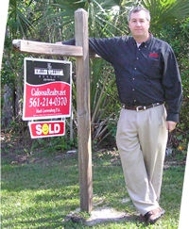 Vacant Lot Under Contract In Caloosa By Mark Loewenberg! Excellent High And Dry Centrally Located Wind River 5.20 Acre Vacant Lot Finds New Owners! 14369 Banded Raccoon Under Contract In Caloosa! 13184 Silver Fox Lane Sold In Caloosa By Mark Loewenberg!